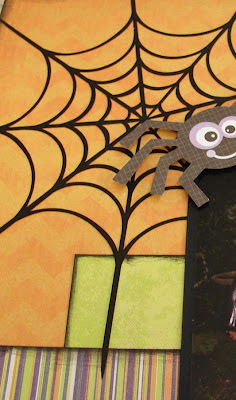 Blog Quick Quotes: Halloween Inspiration with Barb! Hi! It's Barb again and I am thrilled to be able to share with you today! 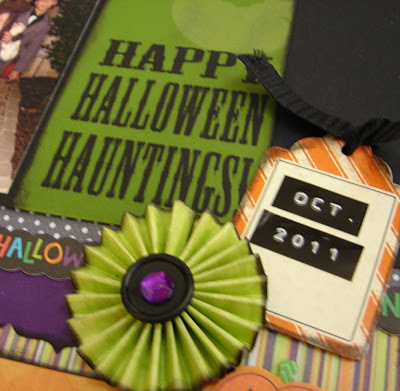 I don't know about all of you, but I am usually about a year behind with my holiday scrapbooking. Let's take Halloween for example... by the time the kids have their parties, we go trick-or-treating and I get photos printed, I have already moved past the Halloween papers and have moved on to Thanksgiving and Christmas layouts. 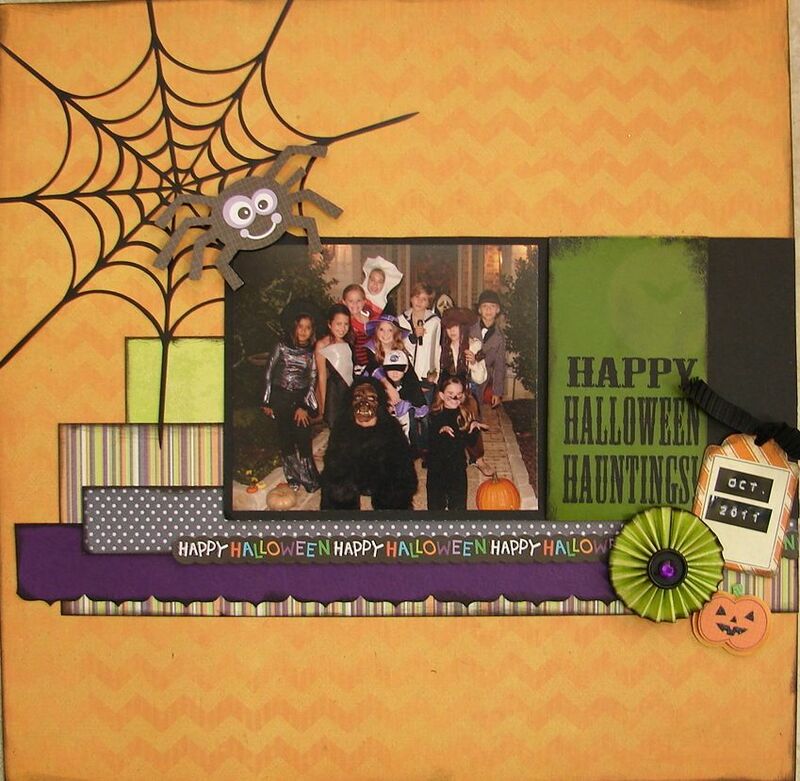 I used the Quick Quotes September inspiration sketch for this layout! 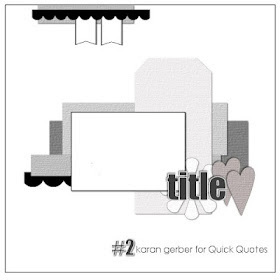 Along with the new line of papers, Quick Quotes has some great new vellum quotes! I loved this bright green quote! I inked the edges with PowderPuff Chalking Ink in Midnight Confessions and then folded the top and bottom around the black background paper. I used tape to hold it in place from behind. 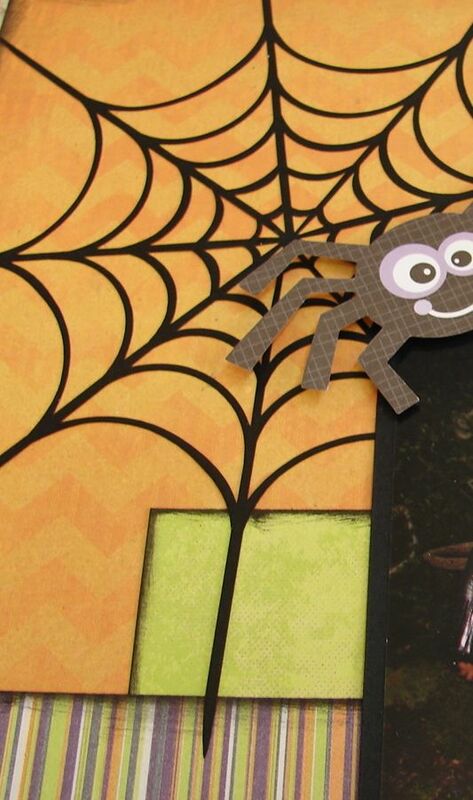 Quick Quotes has also added this die cut spider web! I LOVE it!! It is a nice embellishment that really adds to the layout. Whether you will be scrapbooking this year's photos, last year's photos or photos from 10 years ago, you really do need to check out these Halloween Papers! Very cute. Love your translation of the sketch and your color choices.